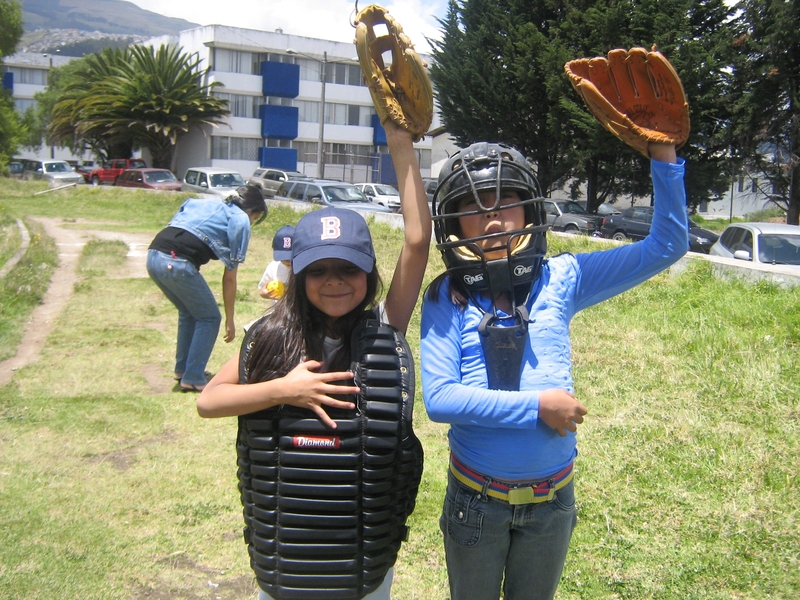 The theme of this upcoming year at Pitch In For Baseball is “a glove, a child, a difference”. Pitch In For Baseball is not a difficult concept to grasp. We collect and redistribute equipment. The result of that work is to create joy and positive outcomes in the lives of kids by giving them a chance to play a game that so many of us find so special. At the heart of Pitch In For Baseball is the baseball glove. It is the item, more than any other, which unlocks the door to the game. So many of remember having a catch with a sibling, a parent, a grandparent, a friend. In the days when breaking in a glove was part mad scientist and part urban legend, it was the glove that captured our imagination. At Pitch In For Baseball, however, the glove is our real bottleneck, our nemesis. We never have enough donated gloves to meet the needs of those requesting help. It is the purchasing of new gloves that consumes a big piece of our annual budget. It is frequently the only item we cannot fulfill to a recipient in the quantity they request. So if you ever want to know what you can do to help Pitch In For Baseball, the answer is gloves. Help us unlock the idea that gets more donated. Write us the check that lets us buy more. The formula for making kids happy is not a mystery. One more glove brings lasting joy to one more child and that is the difference we are seeking at Pitch In For Baseball. Here’s to 2012, may it be our best ever!